Borussia Dortmund's English attacker Jadon Sancho forgot his passport ahead of his club's trip to the UK to play Tottenham Hotspur. 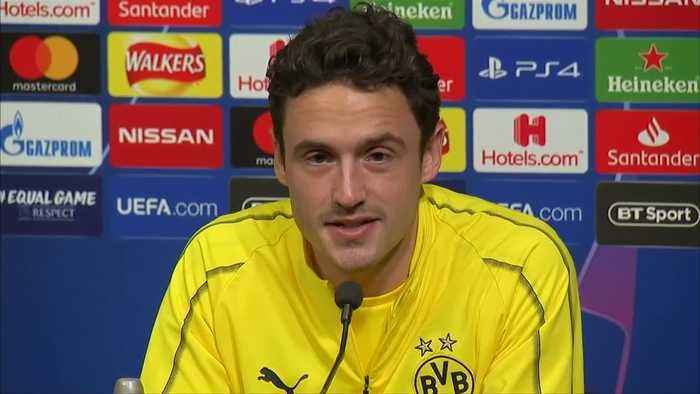 (SOUNDBITE) (English) BORUSSIA DORTMUND PLAYER, THOMAS DELANEY, SAYING: "Jadon (Sancho) is a big, big talent and with talent comes opportunities, and he has them for sure. But he's still 18 years old and he's amazing at the moment but I think that for him he's not where he's supposed to be. He's a rough diamond, he'll get there. I feel a little bit responsible, or responsibility for keeping him on the ground because I know that now we're in England, and you're world famous for hyping your young players, so we try to keep him on the ground because no doubt he has a big, big future in front of him and he'll make great things. But you know it takes hard work, it takes taking everything seriously and trust the process, because he's very young." 2. 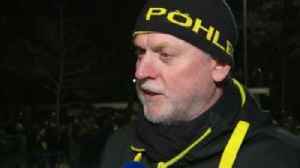 (SOUNDBITE) (English) BORUSSIA DORTMUND PLAYER, THOMAS DELANEY, SAYING ABOUT SANCHO FORGETTING HIS PASSPORT SAYING: "I didn't notice. It's not a big city Dortmund, it's not London so it doesn't take much time to get the passport. I don't think we were...(interrupted 'we had a 17 minute delay I think')..it might cost a little bit of money but I think 90 per cent of the guys didn't notice." STORY: Injuries and illness mean that Borussia Dortmund face Tottenham Hostspur in the first leg of their Chamions League last 16 tie at Wembley Stadium on Tuesday (February 12) with a much changed side. Leading goalscorer and captain Marco Reus is among those missing, a thigh injury ruling him out, and Swiss coach Lucien Favre was also struggling to speak at a press conference on Monday due to slight illness. 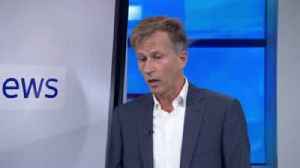 Asked if his team were at a disadvantage, Favre pointed out that Spurs are also missing players, with Harry Kane and Delli Ali among those on the injury list. Dortmund lead the Bundesliga by five points from Bayern Munich, despite squandering a 3-0 lead and having to settle for a 3-3 draw with Hoffenheim at the weekend. 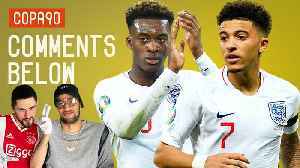 English winger Jadon Sancho caused the team's arrival in London to be delayed, the 18-year-old having to return home after forgetting his passport. Danish midfielder Thomas Delaney played down the incident while praising the youngster's development. 'The best player we've had in 10 years' - Borussia Dortmund's fans give their view on England 18-year-old Jadon Sancho.